If you haven't managed to get all of your Christmas ornaments put away or if you recently snagged some seriously discounted ornaments after Christmas, you could turn them into a very cute Valentine wreath like this heart ornament wreath that Amanda created. 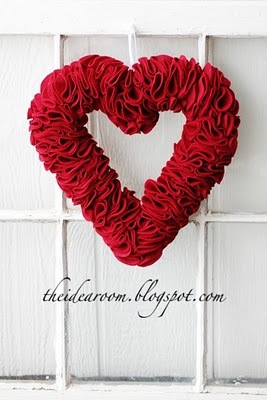 You can see the tutorial on how to make a heart ornament wreath over at Mommy is Coo Coo. 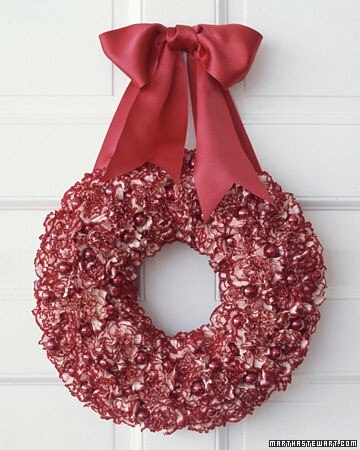 You can also check out my favorite Valentine wreath ideas from last year like Martha's carnation wreath and Amy's felt heart wreath. Love the ornament wreath! Thanks for posting that!